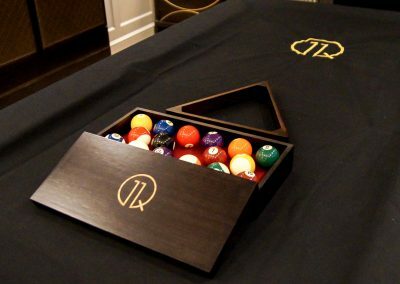 This beautiful ‘initialled’ Walnut ball box was inlaid in gold with a client’s logo. 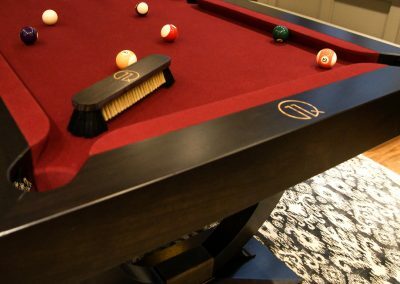 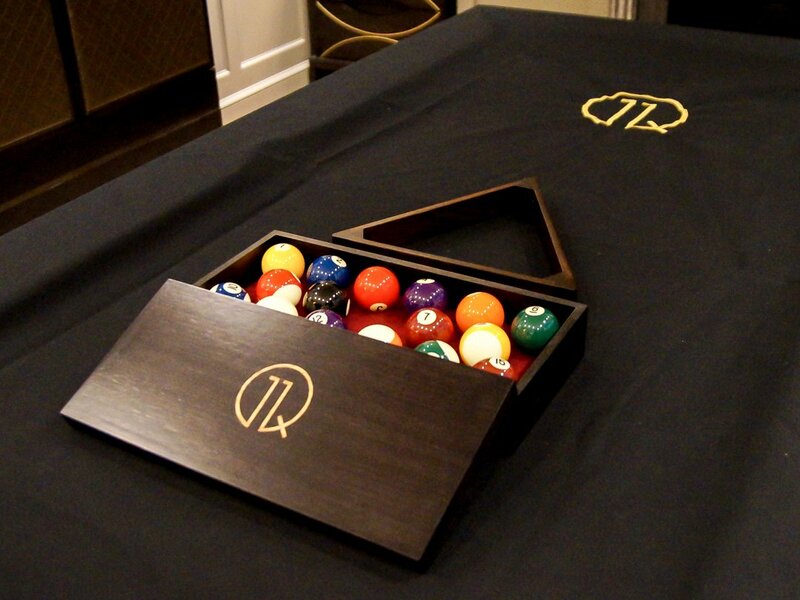 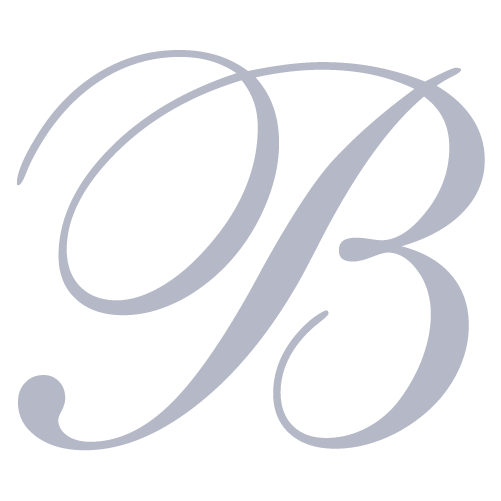 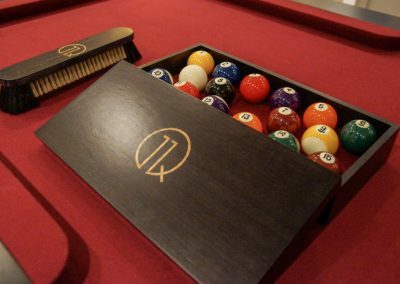 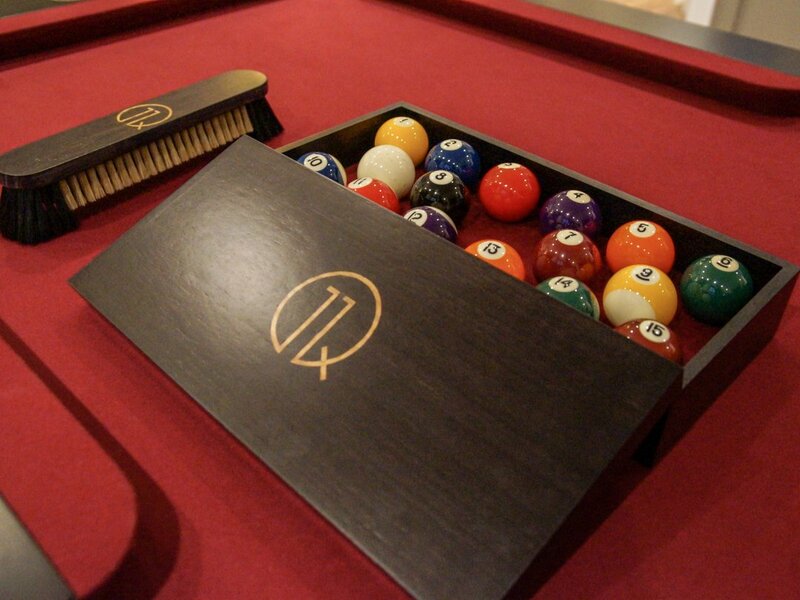 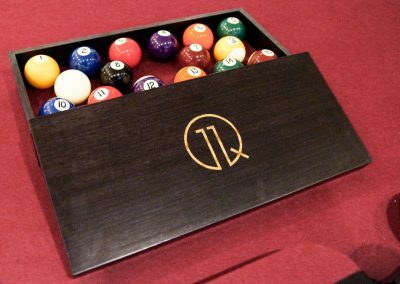 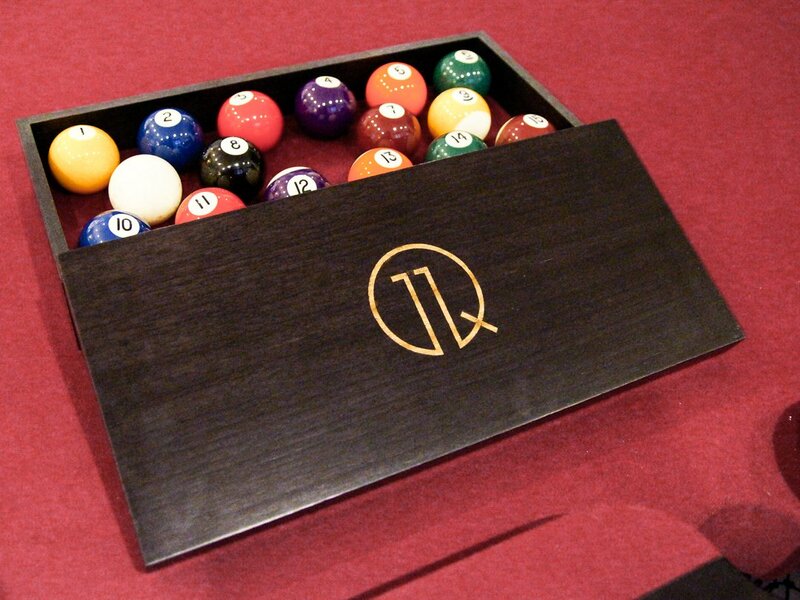 The logo was also inlaid in the cushion surround at both ends of the pool table and in the handle of the billiard brush. 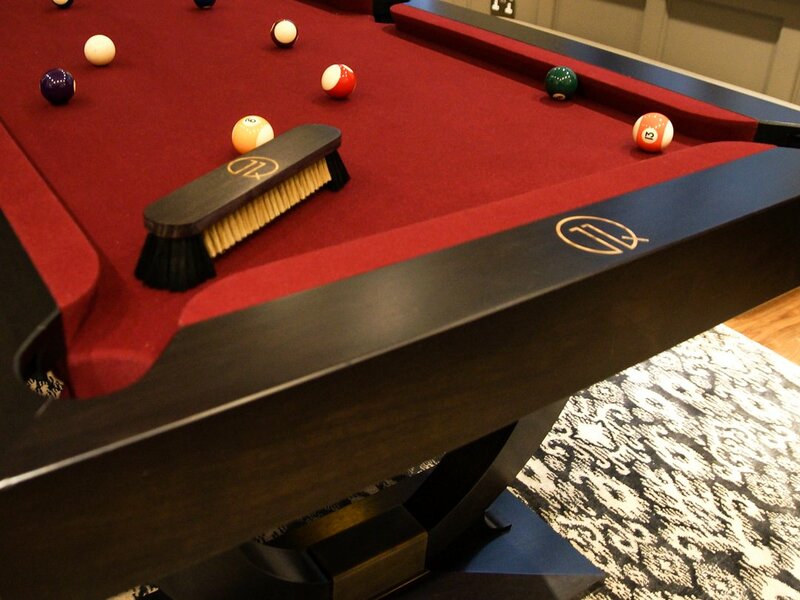 The client also ordered a bespoke fabric cover with the same logo embroidered in gold thread and matching gold tassels.